Recently, something piqued my interest in the astrological concept of dispositors. 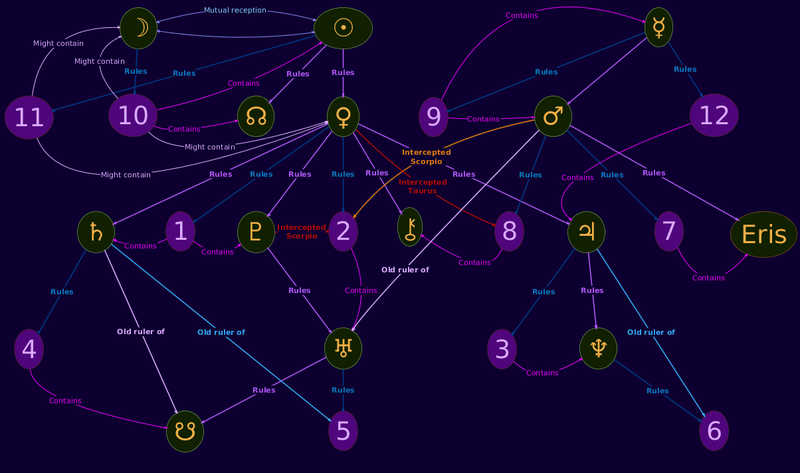 So, I used the excellent free (as in freedom), libre, open source concept mapping software VUE: Visual Understanding Environment to make some concept maps of dispositors in my astrological chart. I guess my below concept maps are pretty boring overall, but, at least they make it possible to easily create your own similar concept maps by modifying mine using VUE. These concept maps are under the GNU Affero General Public License 3.0. Not even my Eryss astrology software can do that yet - not even the unreleased versions of Eryss. 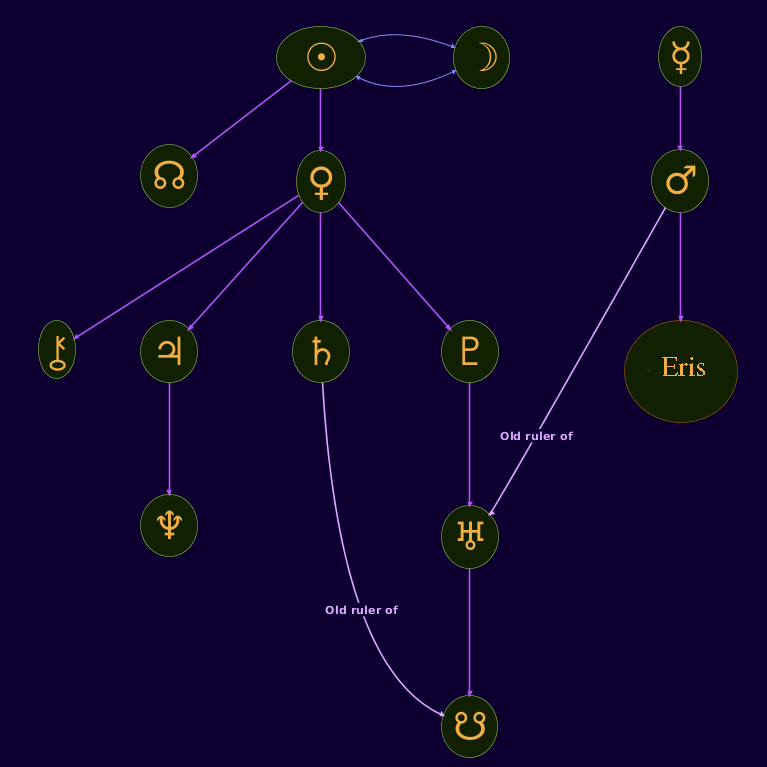 Someday I'll probably use pieces of AstroTally in the Eryss astrology software.